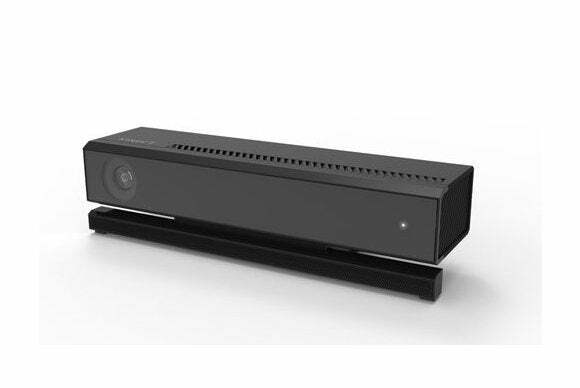 Microsoft hasn't issued so much as a mutter about the next-gen Kinect for Windows since first announcing the device last May, but nearly a year later, the company's revealed the design of what's essentially the PC port of the Xbox One's powered-up Kinect. And, well, it looks a lot like the Xbox version, as you can see above. There are some minor differences. The PC version says "Kinect" on the top, while the glowing Xbox logo on the front of the console version has been replaced by a simpler, non-branded power indicator. 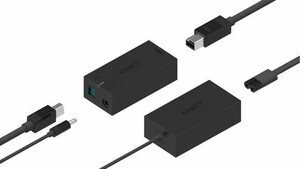 The blog post also revealed the additional components needed to run Kinect for Windows: A power supply (duh) along with a power brick-like hub that accepts connections from the sensor and the power supply as well as a USB 3.0 connection for the PC itself. More importantly than those minor aesthetic details, the Kinect team says "As this first look at the Kinect for Windows v2 hardware indicates, we getting closer and closer to launch." Microsoft hopes to launch the sensor by summer time. Unfortunately, Kinect for Windows isn't as consumer-focused as its Xbox counterpart. In fact, it's not for average users at all. In an interview with PCWorld last May , Kinect for Windows director Bob Heddle made it clear that the focus for the device is businesses, organizations, and public spaces. "It’s going to be the spaces that are stand-up play spaces similar to the living room experiences," he said. "I would imagine that most consumers will see this in interactive retail screens, for example … virtual product trial is very interesting, things like magic mirrors to try on virtual clothing." Sorry, PC gamers. Your dreams of mixing the Kinect for Windows's motion controls with Project Spark's wondrous world building won't be made reality.